The diaphragm pressure gauge from WIKA has been designed for pressure measurement in hygienic processes such as those in sanitary applications. Unlike diaphragm seals, it uses a dry measuring cell. That means, if the diaphragm should leak, no system fill fluid escapes into the process. Thus the new model PG43SA pressure gauge increases process safety. In addition to this, its design with a welded, flush diaphragm and surface roughnesses of ≤ 0.4 µm ensures very good cleanability. No deposits are left on the process connection. The entire measuring instrument can be steam-sterilised (autoclaved) at 134°C and is suitable for SIP/CIP processes. 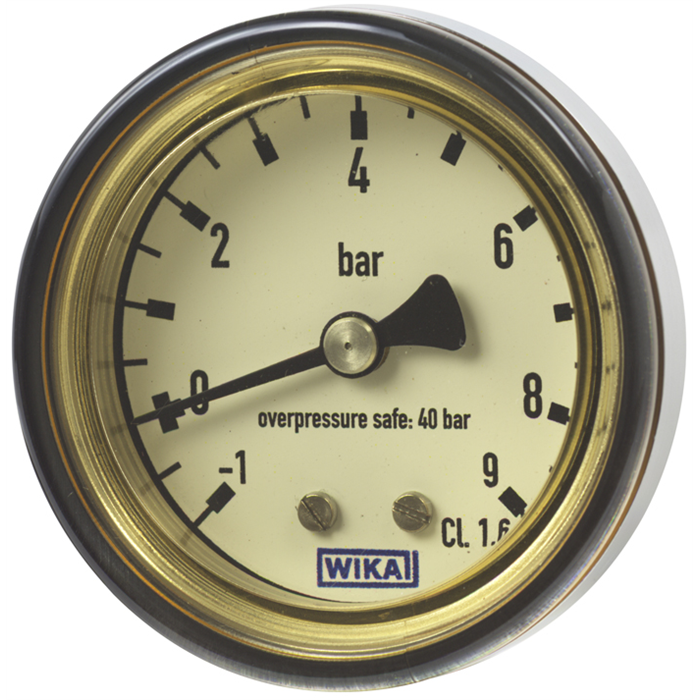 By integrating the centre-back-mount process connection into the case a compact, robust and hygienic design of the pressure gauge is enabled. The instrument, available in nominal sizes of 40 and 63, is thus ideally suited for space-saving installation, harsh operating conditions and cleaning from outside.